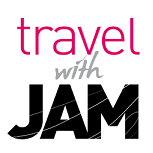 A travel blog uncovering the best travel tips and places around the world! What is Tea with Jam ? 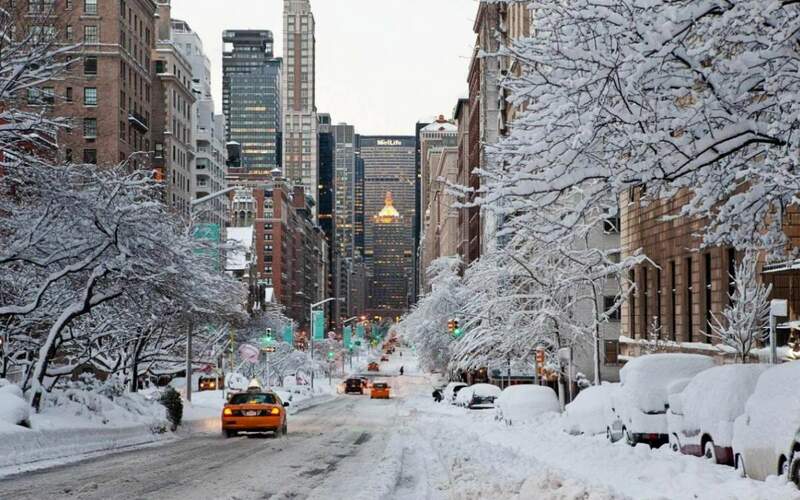 In every season, the city presents its own unique beauty. Even though February doesn’t offer as much in terms of festivities other than Valentine’s Day, there is a lot going on in the city. Take for instance, the endlessly vibrant art scene, delightful gastronomy and many other exciting events, the city is just waiting to be discovered. After Christmas and New Year’s when the most festive time of the year is gone, don’t say no to a trip in January and February, why? Rates are lower, you will be witnessing the real NYC minus the tourists. It’s also a great time for easy exploration without the throng. The Aviary NYC on the 35th floor of the Mandarin Hotel, offers breathtaking views of Columbus Circle and Central Park along with fine crafted cocktails and small plates of delectable bites. 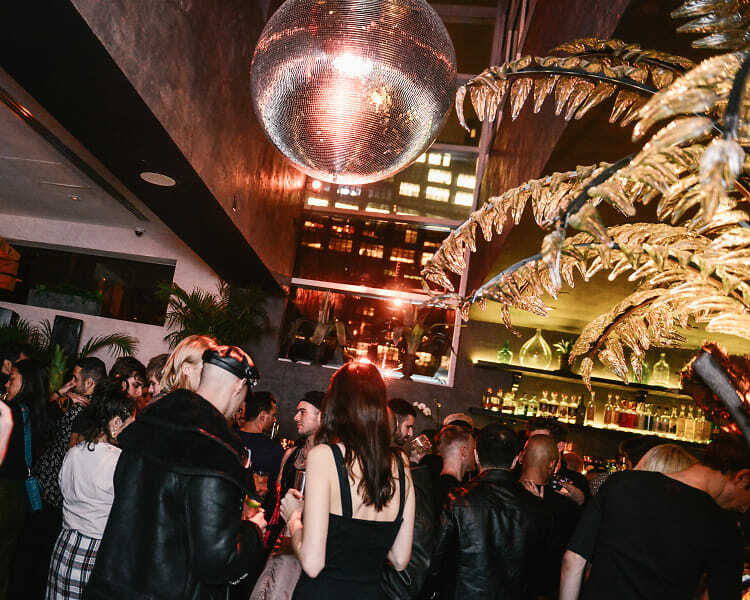 The PHD Terrace at the Dream Midtown Hotel is a swanky lounge with a plush penthouse vibe, check their DJs program to maximize your chance of dancing all night long. 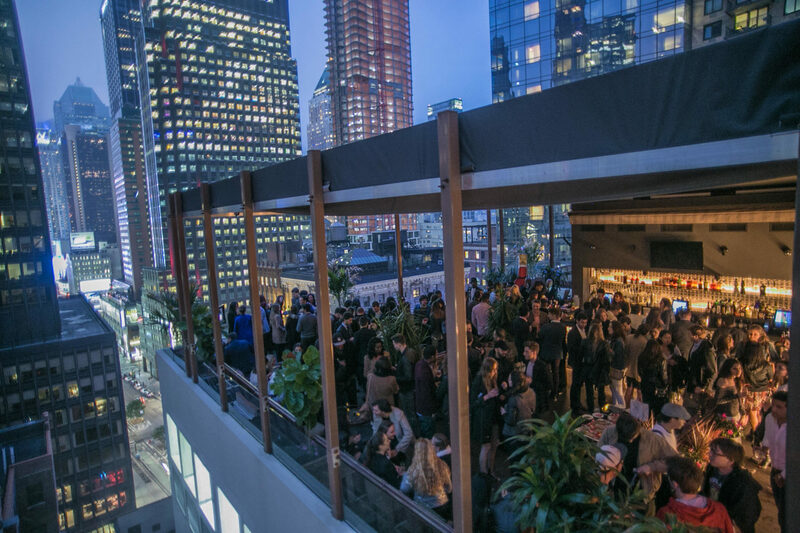 If you want amazing views of the Manhattan skyline in the heart of Midtown NYC, you can’t go wrong with the rooftop bar of the Refinery Hotel, it’s a hotspot for locals and tourists. Give the winter blues a miss by stepping in here and pretending that you’re vacationing at a faraway beach resort without leaving Soho. Filled with lush plants and sandy floors, the opulent colonial charm and the delicious food and drinks of this Tulum transplant will truly transport you. 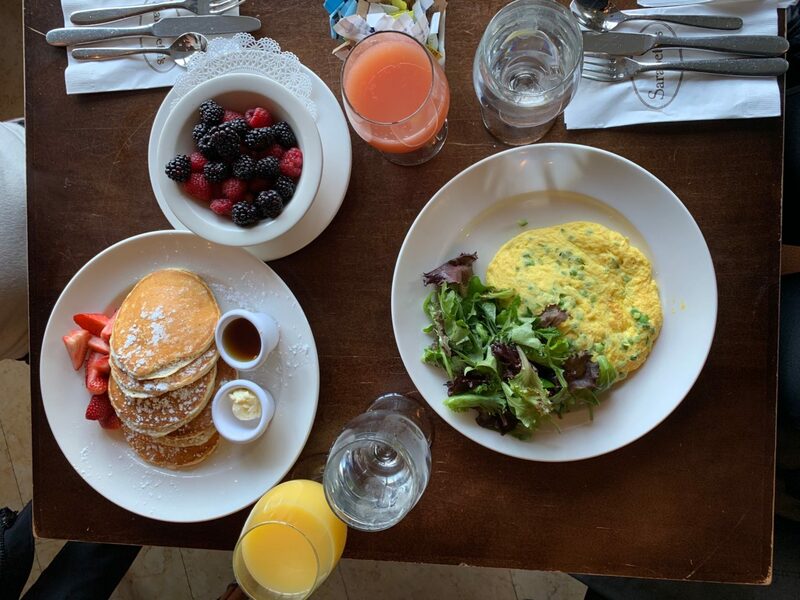 There are very few things this New Yorker loves as much as Sunday brunch. You can sleep till noon and still get eggs anywhere in the city and it’s often served with alcohol too. And Sunday is the one day we get the single women’s sports pages, “The New York Times” wedding section. 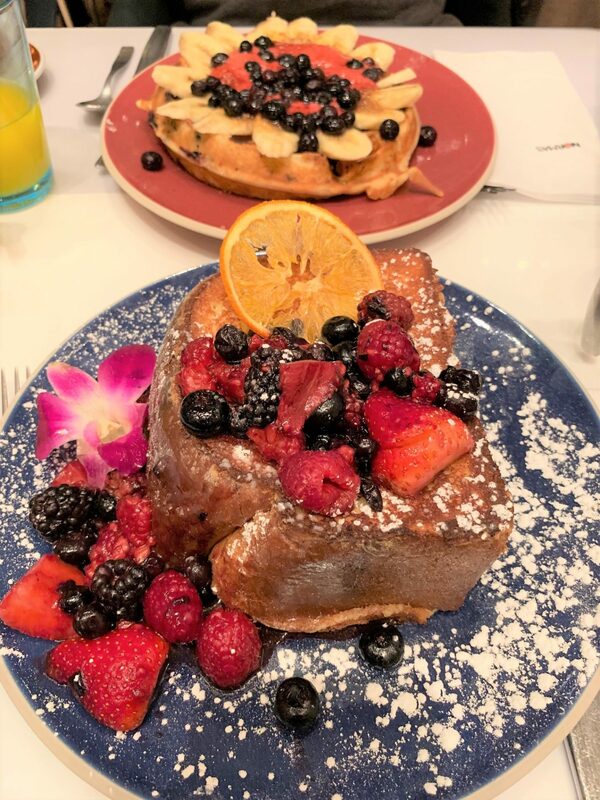 Lavish breakfasts and brunches are the specialty of this Midtown American restaurant at Le Parker Meridien. Normas is also famous for the world’s most expensive omelet that costs a whopping $2,000! Besides this, all dishes that are served here are so gorgeous and instagrammable as much as they are fresh and delish. Perhaps a bit touristy but it’s an iconic spot and also one of the busiest places. I usually go to the Central Park one to meet locals and tourists alike. Their menu is basic and simple but also enjoyable and fresh. The Sunday Brunch is a big deal at Bagatelle. It is an all-day affair and turns into the hottest party in the city with great beats and shows. Their food is on point too! Upscale setting that is clearly one of the places where the “cool kids” in NY chill. The service is astounding and the Menu is topnotch. New Yorkers love their 5 Stars, that’s why you would find them filling the hotels facilities and lobbies at any time of the day or the week. 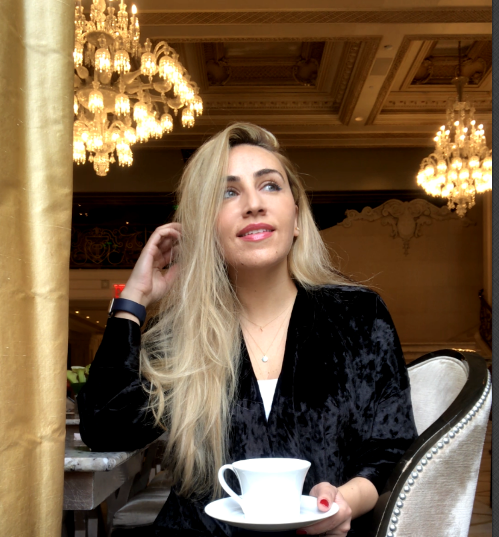 During the cold winter, while walking around the city it’s always a great idea to grab a cup of tea or coffee or even some soup to warm up your soul. 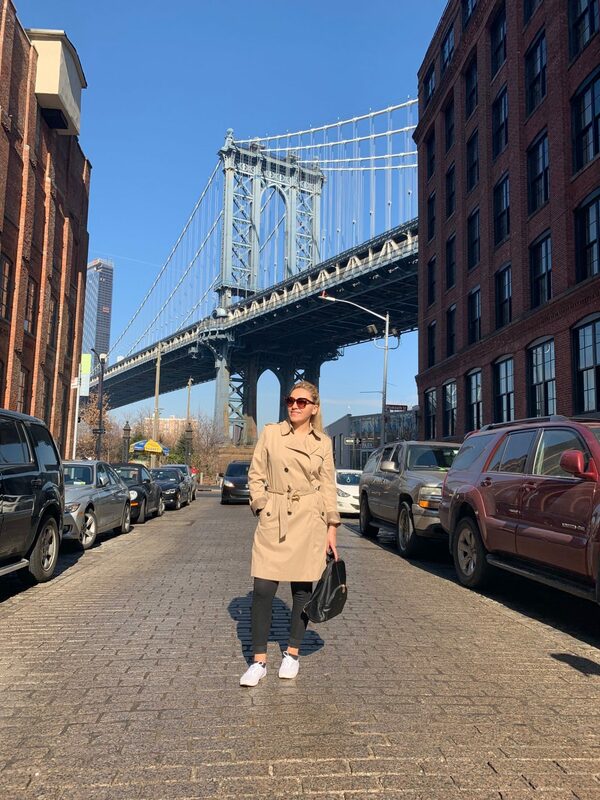 I had the chance to try many hotels in NYC, simply because I love hotels, secondly it’s a great place to meet up with friends and lastly it’s easy to share the location. This stunner cannot be quite put into words. Its elegance is just what your momentous occasions call for. 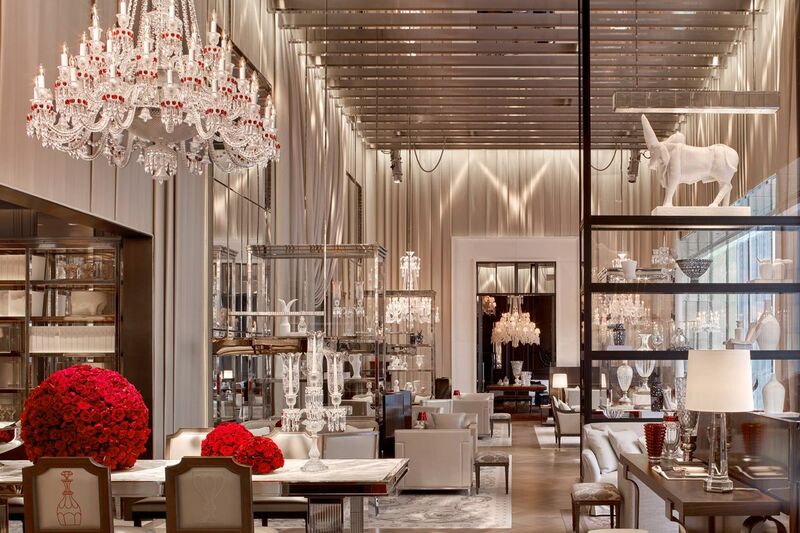 To top off the experience enjoy sumptuous drinks and dining beneath a 64-arm Baccarat chandelier. This stylish spot makes for the perfect meeting point on Madison Avenue for after work or pre-dinner drinks. The tastefully done bar was designed by Jacques Grange with bespoke furnishings by Guy de Rougemont and Vladimir Kagan. This is as iconic as it comes. 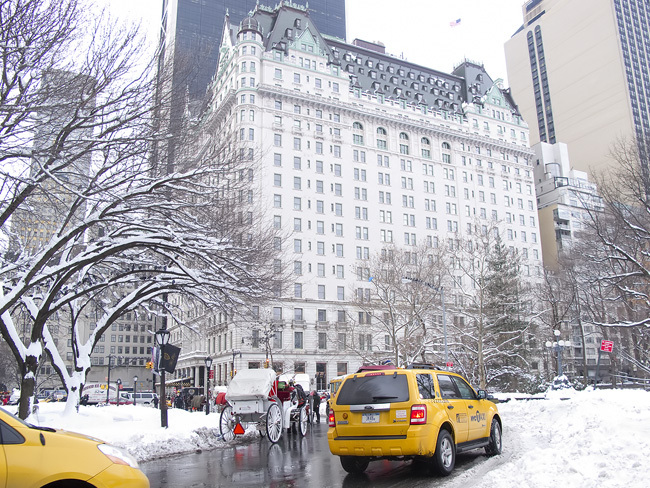 This legendary hotel has hosted the world’s who’s who since it opened its doors in 1907. The setting of many lavish celebrations and classic Hollywood films, this legendary Hotel leaves a lasting impression. You can’t go wrong with afternoon tea in the Palm Court or sampling their culinary delights at the Plaza Food Hall. It’s also a great place featuring multiple upmarket shops to escape the cold and rain of the Upper East Side! This atmospheric and spacious bar is just what you need for socialising in a stylish setting. It’s great for breakfast or lunch and social gatherings in the evenings. Not to be missed is the amazing experience at the Roxy Cinema, the 118-seat cinema in downtown Manhattan. Complete with Art Deco-inspired design, craft cocktails and a gourmet stand, the theater specializes in independent films, rare archival prints and 35mm cult classics. Check out the schedule as they also run special cultural programs including film series, director and actor Q&As and artist collaborations. Fine dining at its best. Don’t miss Chef Boulud’s unique twist on French cuisine using the freshest ingredients at this Upper East Side gem. A little hidden treasure, do stop by the Pomme Palais, New York City’s next-gen pastry boutique located in the Lotte New York Palace. This is every New Yorker’s favorite spot for sweet and savory treats. Pomme Palais serves an amazing coffee as well. Not only this, but you would feel like you are back in time while walking through the garden and the main entrance of the Lotte New York Palace. Some people visit museums not more than once, I am just the opposite. Yes, some collections remain constant but there are always special collections and temporary galleries. I highly recommend the Met, the Guggenheim, Whitney and Met Breuer Museums. Also don’t miss the opportunity to explore the art buying scene, for the more expensive option, Christie’s auctions off valuable pieces or if you’re in the market for a more affordable option then there’s Eden Fine Art Gallery. Should you wish to explore more, take a walk through Harlem and Brooklyn.